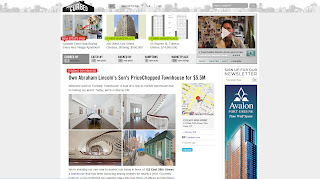 If you love New York (or LA or San Fran), its real estate, shopping and food, you will LOVE this site. CURBED.com is the flagship site of the CURBED Network, a collection of real estate blogs for New York, Los Angeles, and San Francisco. There is also a sub-collection of restaurant blogs (EATER.com) and fashion blogs (RACKED.com) for each city. A great place to go if you live, want to live, wished you lived, or just wanted to day dream about living, eating and shopping in these great cities, or are just heading for a visit. And for the summer, they have the BEACH for those Hampton get aways. A great network of blogs all worthy of their own nugget.